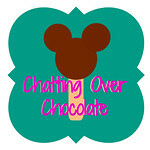 Chatting Over Chocolate: Sisterhood of the World Bloggers Award & My Nominees! 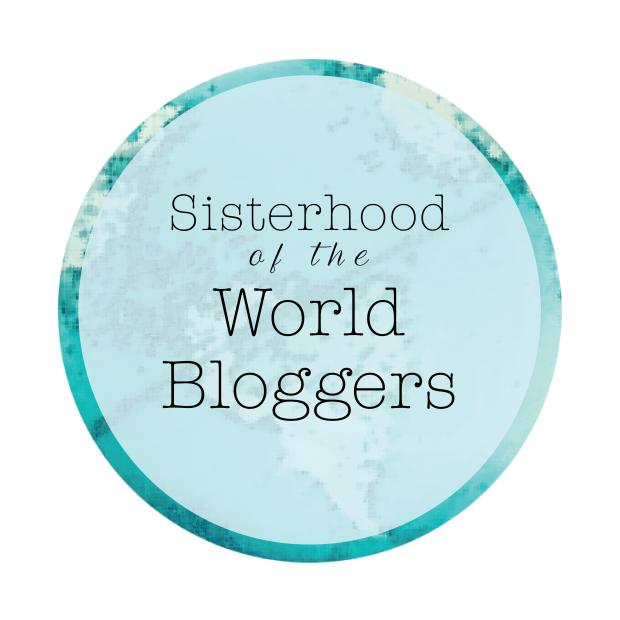 Sisterhood of the World Bloggers Award & My Nominees! Over the past few weeks I have received nominations from Michelle and Alexis for the Sisterhood of the World Bloggers Award! Thank you, sweet friends! Receiving an award from fellow bloggers, and then having the opportunity to nominate others is such a treat! I'm so very thankful to be part of such a fabulous blogging community, which truly does feel like a sisterhood! - Provide a link and thank the blogger who nominated you for this award. - Answer the questions about yourself. - Provide links to these nominated blogs and let the recipients know they have been nominated. - Ask them ten questions of your own. 1. How long have you been blogging and why did you begin? "My first post on this fresh, new blog! Will anyone read it? Well, I guess you are! Fancy that, my words are now being narrated in your voice. ;) Welcome, lovely reader! Thanks for visiting!" 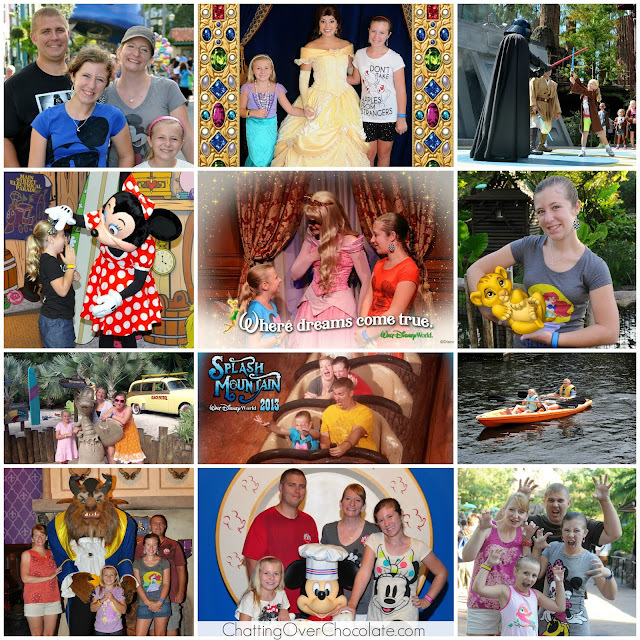 I thought it would simply be a fun creative outlet, but it has become so much more to me! The greatest gift that's come from this blog has been the amazing friendships I've made while connecting with fellow bloggers and readers. I cannot imagine my life without this lit'l corner of the blogosphere I call my own or without you all! I'm so incredibly thankful for all of you, sweet, cherished friends, who stop by to visit me here! 2. List three words that would describe you? Chatty I am a speaker, thinker, and writer of far too many words! I simply can't cut to the chase or leave out a single detail! I'm working on this, but I've been a chatty girl since I first learned to speak, so it's doubtful I'll shut my mouth change my ways any time soon! Obsessive It's about to get real here, friends... I have struggled with OCD issues throughout my life. As a kindergartener I would cry at night nervous that I'd hang my coat up and it'd fall off the hook or that I wouldn't be able to put my colors away fast enough. As a teenager when I'd get out of my car to walk into work I'd often find myself making a stroll by across the parking lot just to double check that I'd locked my car. (Although, never once had I forgotten to.) I have a nightly routine of saying "off.off.off.off.off." after checking the stove and all the burners are off, and may check the door locks two to three times before I can sleep soundly. I also overthink the littlest of things. In fact, right now I'm considering deleting this entire paragraph for fear that you may think I'm a looney bird. I want to leave it in though, as it has never been my desire to paint myself in a perfect light. This is me, the real me, unedited. 16 years, 8 months, 29 days, or more simply put since November 14, 1998. 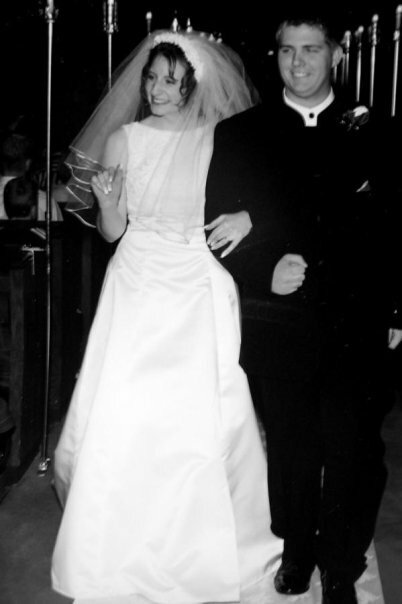 At age 19 we dated for just 2.5 months before getting engaged on the 4th of July. Four months later we were married. We are currently living out our happily ever after all praise and glory to God who enables us to forgive, prefer each other's needs before our own, and to love unconditionally! 4. Where has your favorite vacation been so far? As much as I feel like the "right" answer would be my two and a half weeks touring Europe, spending time in Germany, Austria, Italy, Switzerland, France, and England (and it was amazing! ), I cannot resist naming our most recent trip to Walt Disney World as my favorite! We've enjoyed many magical vacations there so why did that one stand out? If you are new around here, and a Disney lover too, please be sure to subscribe while you're here as we recently became Disney Vacation Club members and look forward to sharing our upcoming trips to WDW and Disneyland with you via trip reports here, also follow via Instagram for magical moments as they happen! 5. You're given $100 just for YOU, how would you spend it? Wanna peek at what found its way into our suitcases last trip? Check out my most recent Disney World Souvenir Haul! Well, we've already established the fact that I love a nice long chat! I'd like my blog posts to feel like you and I are meeting up for a slice of delicious chocolate cheesecake and enjoying chatting over it! You may have seen the answer to this question on Instagram last week! Pad Thai is my favorite meal, closely followed by my two favorite food groups, chocolate and cheese. 8. What do you enjoy doing in your off time? 9. What season of the year do you prefer? Hands down, Fall! I love the colors, the foods, the holidays, the temperature, the clothing! *happy sigh* Every bit about that season makes my heart skip a beat! 10. If you could visit any place in the world, where would you go? Tokyo DisneySea! I did a virtual vacation post to this magical destination last year if you'd like to see more about this incredible source of Disney goodness! 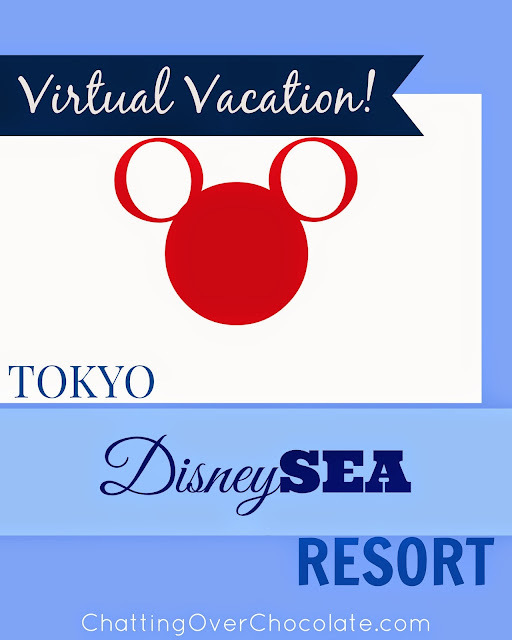 Check that post out here: Virtual Vacation to Tokyo DisneySea! Now, I'm so excited to have the opportunity to pass this fun award on to bloggers who I count dear friends, and highly esteem! Drum roll, please! 1. Do you have a tradition that's unique to your family? 2. 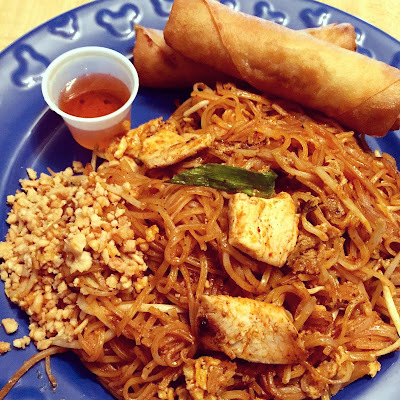 What recipe/dish are you most known for? 3. Are there any goals that you hope to accomplish before the end of this year? 4. What band/artist or album could you never tire of listening to? 5. 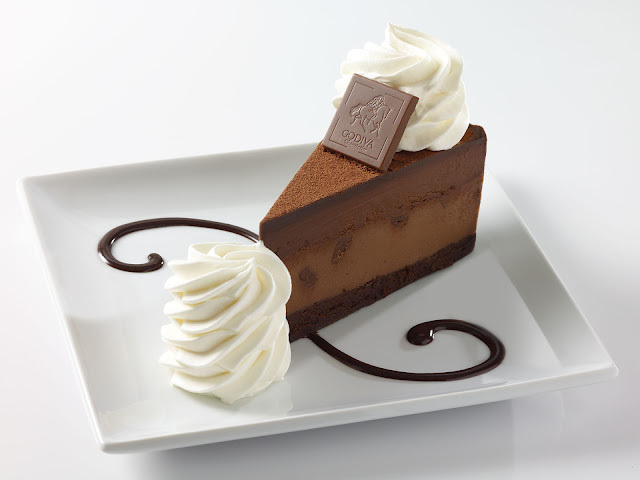 If you could choose one store to go on a complimentary shopping spree which would it be? 6. What food could you not live without? 7. What is your favorite way to spend a free hour? 8. Are there any tv shows or movies you quote from regularly? 9. What is something you've always wanted to learn to do? 10. What is one thing I may not have learned about you through your blog? 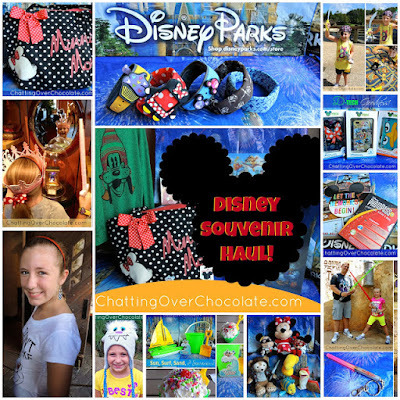 I'd love to have you click through and pay these sweet bloggers a visit. Tell them that your mutual friend Brenda sent you their way, and congratulate them on receiving this award! They are each such talented, creative, and lovely ladies, and their blogs will provide you with inspiration on everything from fashion to home decor, recipes and fresh ideas for family fun! I'm thankful to count each of them among my blogging friends! Thanks for visiting! I'd love to hear from you in the comment section below! Could you relate to any of my answers? Care to share YOUR answers to any questions I was asked or posed to my nominees? Go for it! It's always fun to learn more about you all too! So happy you answered. I love it all. Okay, getting real too. I am so OCD and everything you described under Obsessive, I do. Yes, I drive my family crazy. Over the years I use to think something was seriously wrong with me, but then I read a book about it and confirmed that I was not alone. Anyways, I told them nicely to buzz off and just deal with it because it is my way of controlling the things I cannot control otherwise. They leave me alone now. Even during their tease sessions, I let it roll off. So you made my day for your honesty on this subject. I love your answers. Love this Brenda, thank you! So fun getting to know you better. OCD is a BIG part of my life too, so I completely relate. And your love of all things Disney is just sweet as can be....like YOU pretty lady!! Hooray for getting to know yous! And blog awards! And being nominated! I did not know you were married so young! Love the wedding pic. Congrats on the blog awards! I have enjoyed getting to know you better. I feel like you and I are a lot alike. I love everything about fall and I have OCD especially when it comes to off, off, off. I love seeing all of your Disney photos. I have never been but I would love to go someday. Such a great post. I hope you are having a wonderful week. God bless you my friend! So much fun reading this! Oh and I LOVE fall too by far! It is the best season and I cannot wait. I have enjoyed getting to know you better. Have a great day! Thank you SO much for the sweet nomination!! I really enjoyed reading your answers to the questions. Trust me, you are NOT alone in those OCD tendencies. I do so many crazy compulsive things and I have no plans to change. Haha! This is such a great post and I loved learning more about you. We just recently took our kids to Disney and it was a blast. This was our second trip with them and we have been trying to go every other year! Europe IS great... I have only been to Paris, but my husband and I are planning a trip to Italy next summer and I can't. Fall is my favorite season, too and I can't wait to start on some fall crafts once my kiddos are back in school! 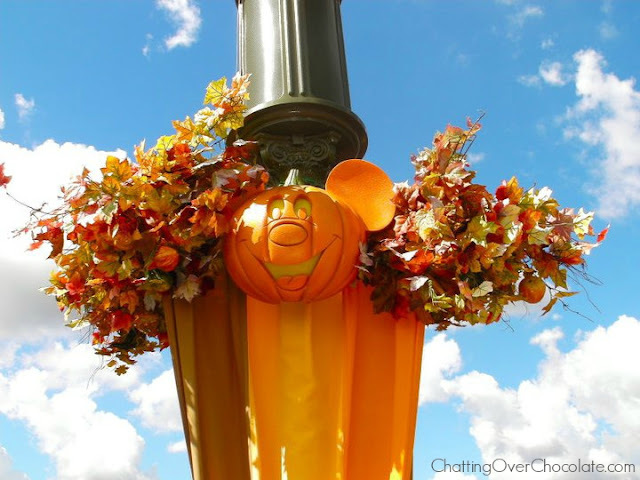 I can't wait for your fall Disney trip!!! Can you tell I am dreaming of the next time we can get back there? I loved learning all this about you, Brenda! Thank you for sharing about your obsessive tendencies, I'm sure more people can relate to that than you would think. I know I do!